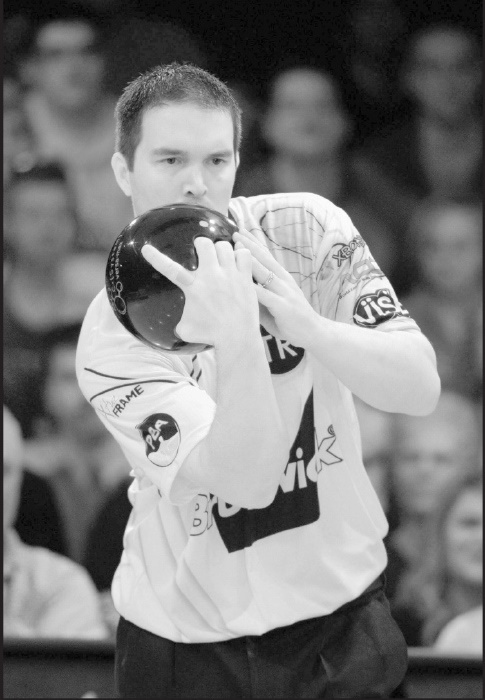 Historically, the study and teaching of bowling’s physical game has neglected the trunk/torso relative to other influences of cause and effect. Due to this, there remains a lack of a thorough understanding of how upper body positions influence efficient movements throughout the approach. Through my study of efficient biomechanical movements in bowling, I believe the trunk is one of the most vital contributors to a world-class physical game. For example, it is a major contributor to space creation, footwork, and swing height, as well as energy transfer to the bowling ball. True, there are many factors that influence biomechanical efficiency. Yet, the trunk might be the single most influential component. This month I set out to help readers understand more about how important the trunk is and how much impact it has on an elite physical game. With a deeper comprehension of how the torso is at the core of the cause and effect sequence, coaches and players will be empowered to facilitate faster improvements as well as achieve higher levels of performance while reducing the risk of injury due to more biomechanically efficient movements. As a coach, I work with players to maximize energy transfer and reduce movement. In world-class athletes, movements are extremely fluid with maximum energy production. If you look at the top 100 professional golfers or the top 100 professional tennis players, there is a convergence of efficiency due to high level coaching and training with a goal of becoming more biomechanically efficient. With a focus on the details, bowlers can also achieve a physical game that reduces extraneous movement and maximizes energy transfer. Using the trunk properly will accelerate this process. In the set up, the trunk makes a three part contribution to a maximally efficient physical game. First and foremost, through lateral spine tilt, the player pre-sets space for the swing slot. The player’s head is over the swing line before moving. This will aid in the establishment of initial space for the swing. Second, the angular position of the trunk contributes to swing efficiency as well as aiding in a fluid move from a static set up position into the dynamic rotation of the torso. Specifically, the balance arm shoulder begins in front of and above the ball-side shoulder. By rotating the torso slightly in the set up and having the balance arm elbow slightly forward, the balance arm can move forward more easily and fluidly. The trunk only needs to rotate slightly more to establish a strong angular torso position. Finally, this set up position also allows the ball-side arm to be pre-set to move into the swing (with abduction rather than extending into the backswing), enabling a higher swing. Abduction is moving the arm away from the body from the side. We have a larger range of motion with shoulder abduction than with shoulder extension. When the torso is rotated, a backswing behind the head will move away from the body in a sideways motion allowing a higher swing. I will discuss this in more detail later in the article. As the bowler moves the ball into the swing, the pre-set lateral spine tilt angle is increased. 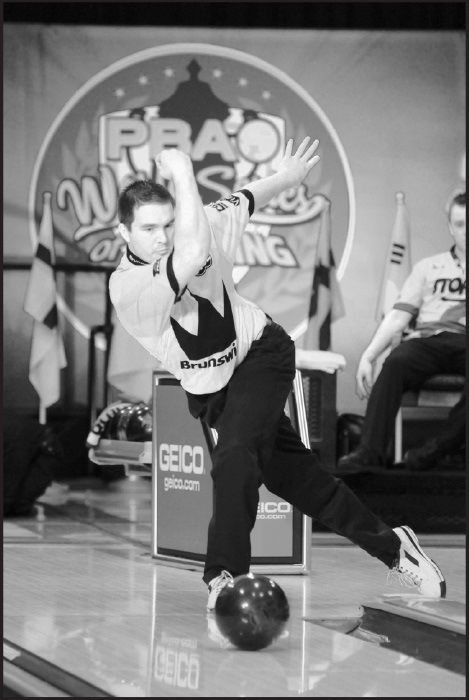 Ideally, the head moves outside the bowling ball before the ball passes the leg into the upswing. Many of today’s most efficient players have their head outside the hip before the ball moves into the swing. This creates a large swing slot between the outside of the shoulder and the hip allowing the armswing to move freely and unimpeded into the upswing. This will allow the bowler to move the ball from the swing start into the upswing, under the head, increasing the opportunity for accuracy. With a pre-set position over the ball and movement outside the ball in the swing start, the head will remain over the ball for the full swing and entire approach, producing a significant increase in accuracy. In addition, with a swing start where the elbow remains close to the body, the trunk will now increase forward spine tilt naturally. The combination of lateral and forward trunk flexion will also facilitate increased accuracy. From a lateral perspective, the head will remain over the swing. From a vertical perspective, the early forward spine tilt in the approach ensures that the head will have less movement as the bowler slides in the approach. Finally, there is a direct cause and effect relationship between trunk movement and footwork. With the rounded movement into the swing and the elbow remaining close to the body, the trunk will move forward in front of the body. This is achieved by pivoting around the elbow as the ball moves from a stationary position into the swing. When the trunk follows the ball into the swing due to the rounded hinge swing start, the center of gravity moves in front of the body, leading to quicker footwork and the possibility of a more pronounced power step. In addition to forward spine tilt, lateral spine tilt impacts footwork as well. When there is very little lateral spine tilt, a player’s natural footwork is beside one another. Yet, when lateral spine tilt is introduced, a player’s footwork naturally steps-over (assuming the swing remains close to the body). Specifically, the ball-side steps will pass directly in front of the slide foot steps to sustain balance throughout the approach. Get your head outside of your hip in the set-up and swing start by using your neck, the most flexible part of the spine, at a 45 degree range of motion for most. If you want to improve your footwork, do not try to step-over, simply lean more to the outside and your footwork will begin to step-over naturally. Stand in front of a mirror so your chest and stomach are forward. Now, move your ball-side arm directly behind your shoulder mimicking a backswing. Go as high as you can while keeping the swing behind your shoulder and without moving your spine forward. The backswing should not be laterally to the outside of the shoulder when testing this to feel the true impact of this movement. How does this feel? Now, return to the original position. Turn your body so your balance arm shoulder is now facing the mirror and your chest is now facing a side wall. From the original position with your chest forward, move your arm upward to your side, 90 degrees from the front wall. This is actually moving your arm in the backswing behind your head. Try to go as high as you can. Feel the difference. The first movement example, biomechanically speaking, was shoulder extension. Our normal range of motion for such a movement is approximately 50 degrees. The second movement is shoulder abduction. Notice how much more range of motion you have with this direction. Turning the torso in the set-up and swing start allows a bowler to abduct into the backswing, greatly increasing the ease and height of the swing as well as reducing shoulder injuries. During an efficient set up, the upper body should be pre-set with the ball-side shoulder behind the balance arm shoulder. This pre-setting of angular movement allows a smoother transition and promotes the torso to open angularly rather than a player simply moving the balance arm out in front of them. In addition to abduction, swing height is related to forward spine tilt. When a player keeps the elbow close to the body as the ball moves into the swing, the body will follow the ball, increasing forward spine tilt naturally. When a bowler pushes the ball up or out, the trunk remains upright. When the bowler hinges into the swing, the trunk will move forward. This has an impact on swing height. At the top of the swing, the world class bowler has the torso rotated with the balance arm in front. This angular rotation of the trunk has allowed a higher swing (abduction) as well as pre-setting elastic energy by stretching the abdominal muscles. As the bowler slides, the torso will rotate closed, infusing potential energy into the swing and increasing the potential ball speed at release. This is fundamental to efficient energy transfer as bowlers do not use the hip in the kinetic chain like other sports. This is because the trail leg moves laterally toward the balance arm side to help with balance and clearing the leg for the downswing. With lateral spine tilt and abduction in the upswing, the arm/hand will move toward the body in the downswing. With a positive downswing angle, a bowler’s hand will move to a stronger position at the point of release, facilitating the potential for more revolutions. The lateral spine tilt and forward spine flexion angles into the slide ensure more accuracy since the elite bowler is moving very little as the slide, stop, and release occur. When a player incorporates lateral spine tilt in the set up and swing start, the trail leg will want to naturally move further away to procure balance. This is an effect of the lateral trunk flexion angle. With a larger amount of lateral spine tilt, the trail leg will naturally move further away from the body. The natural trail leg movement is an effect of the 3D movement of the trunk. If a bowler has good lateral spine tilt, the trail leg will naturally be further away from the slide foot promoting improved balance. With the bowling arm coming into the body in the downswing and paired with the lateral spine tilt, the follow through is more likely to move down the target line, under the head with the forearm forward, maximizing energy transfer. The torso/trunk can be an asset or a liability to your physical game. With improved implementation of the concepts discussed, a bowler will transfer more energy to the ball due to increased biomechanical efficiency. For many, this requires a reconceptualization of what a good physical game really looks like. Image credit: Bowler illustration (©iStock.com/zoechan) is licensed for use by BTM and is the copyrighted property of its original creator.